This time it's from Montreal to Zagreb, Croatia (ZAG) - a European destination that's usually pricier than most in terms of airfare. This is about half of what it should be. 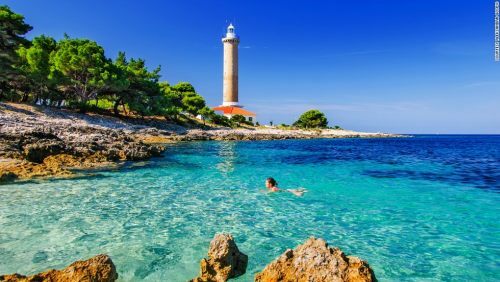 And no, that is not Zagreb in the picture (it's a place called Dugi Otok). Nobody goes to Croatia to check out Zagreb. Head to the coast and the beautiful islands. Click on the departure date box to open up the calendar view and try different dates, to look for combinations that come up as $670. 3. 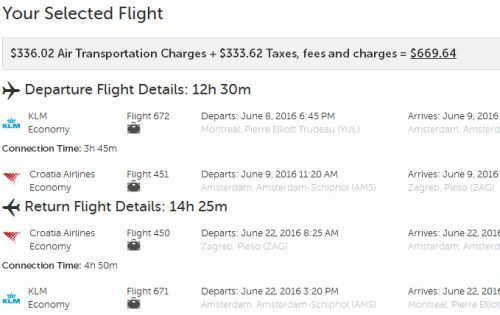 Search for a flight from Montreal to Zagreb, Croatia (ZAG) using your dates from above. Click on the departure date box to bring up the calendar view. Browse the available dates. There appears to be availability between November 2015 and May 2016. 2. Take your dates and plug them directly into the KLM website for booking. montreal, yul, europe, southern europe, flight deals, balkans, southeastern europe, klm, central europe, air france, zagreb, croatia, zag and croatia airlines.